If there’s one thing I’d like to gift you, it’s knowing how to design a beautiful, safe, and cost effective straw bale home. A sound design is paramount for a successful build and I have personally seen a poor design literally cost the owners the entire cost of their house. Fortunately, designing a straw bale house is no longer rocket science and after many years of hands-on building and teaching experience, I’ve seen where the pitfalls lie and discovered new innovations along the way. 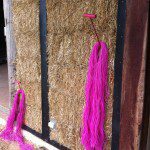 In this article I will share the best strategies for designing a straw bale home. Think of it as a reference point for you to come back to again and again as you go through your own design process. Different tasks are better approached in different seasons. Here are some articles laying out tasks to be accomplished at different times of the year. A straw bale design may be absolutely perfect for one area but a total disaster for another. Really getting to know the land on which you’ll build your dream home is a fun and rewarding process: where does the prevailing wind come from, where’s my best opportunity for solar gain, how do the seasons affect my property are just some of the questions you may want to consider. In this article you’ll find some great strategies for finding that perfect spot to build upon. Water is straw bale’s mortal enemy and as such, a lot of our research has gone into creating design strategies that essentially eliminate the risk. 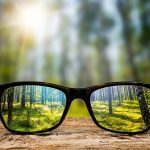 So whether you live in the tropics, or high snow areas, or earthquake prone areas, you’ll find value in reading through the articles below. They say that God is in the details and this adage most certainly applies in straw bale design. 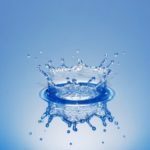 Do it right and you’ll be rewarded with a beautiful home for generations, but miss important details and you may be staring at water issues within 3-5 years. Here are not-to-be-missed articles on how to do it right, from the start. We certainly hope that you’ve found these resources to be helpful. 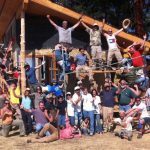 Our mission is to empower you with the tools and resources to be able to build your own beautiful straw bale house and since 2004 we have helped thousands do just that. Creating a design is a form of art and we invite you to embrace this process and to really give it your all. There truly is nothing like entering your dream home and the satisfaction in knowing you were so closely involved in its creation is priceless. 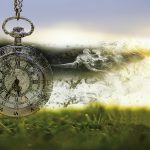 The last article I want to share is written by my good friend, Chris Keefe of OrganicFormsDesign.com. For him, architecture is art and his viewpoint on straw bale design inspiring. 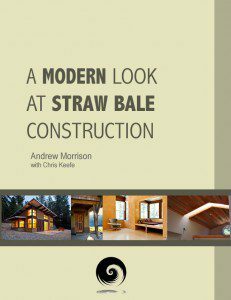 eBOOK: A truly outstanding resource for anyone wanting to design their own straw bale house (or be involved enough that they can communicate clearly with their hired designer) is our “Modern Look at Straw Bale Construction”. It is 214 page ebook with 214 pages and 113 color photographs to clearly walk you through a well designed straw bale home. It includes 22 professionally drawn architectural details created by Chris Keefe of Organicforms Design. I’ve written this book so that you can get a precise look at the details I recommend for building a high quality, long lasting straw bale home. 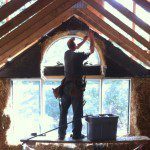 These are the construction techniques I have used and fine-tuned over the years building, teaching, and consulting on hundreds of straw bale projects from Australia to Europe and Canada to the United States. PREDESIGNED PROFESSIONAL PLANS: Another option is to purchase a pre-existing set of straw bale plans. We have the largest collection of straw bale plans on the web and you can peruse the selection by clicking HERE. I think. I am living in chiang mai Thailand now and want to learn to design and build a strawbale house and to promote the concept to others in thailand its great what your doing as a Retired Director of an Environmental Charity in the states I can really appreciate your efforts. Can you proived some help with contacts in thailand that want to work together to promote the ideas? I am at homeagri2@gmail.com I look forward to studying your materiel. Hi James. I don’t have a list of contacts in Thailand to share. I wish I did. I hope that you’re able to create something amazing there and I hope you will share your efforts and progress as you go. Wishing you success.